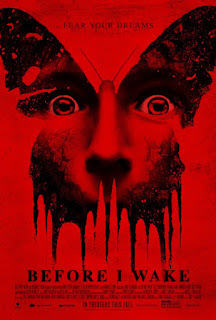 Shot in 2013, scheduled for a theatrical release in 2015, dropped from the release schedule altogether once distributor Relativity Media went bankrupt, and then picked up by Netflix in 2017 and now seeing a streaming release, “Before I Wake” is one of many long-in-the-can films that got an unfair shake from actually being seen by an audience. 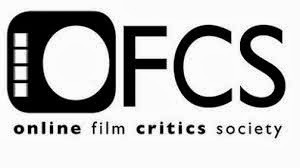 Fortunately, this is one of those rare times where it wasn’t because of the quality of the film itself. 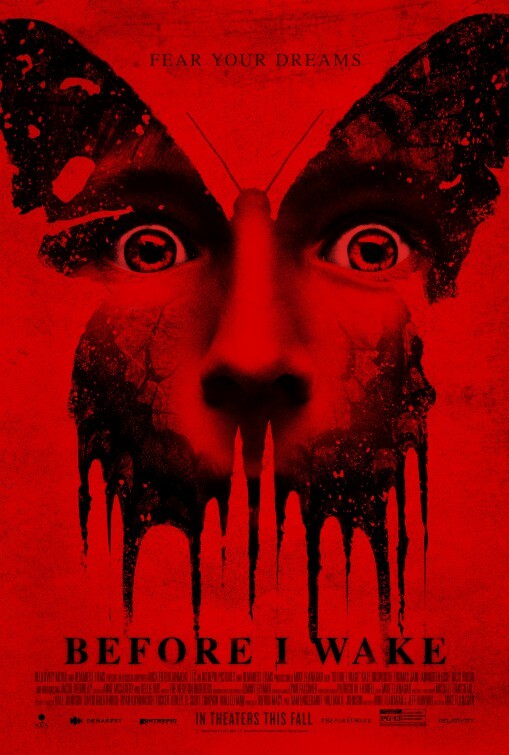 It is, however, not surprising that writer-director Mike Flanagan (2017’s “Gerald’s Game”) proves his acumen once again, making “Before I Wake” a horror fable that is smarter and more ambitious than any of the supernatural horror quickies that litter the genre selection on Netflix. Handling material that is more poignant than conventionally frightening, Flanagan locates a human component that is bolder and more interesting than most of the literal figments of fear. After the death of their son, Jessie (Kate Bosworth) and Mark Hobson (Thomas Jane) decide to create fresh start and foster a child. While Mark secures grab bars around the bathtub—their son drowned—Jessie takes down family photos of their beloved Sean (Antonio Evan Romero) and regularly attends a grief support group. They get lucky with Cody (Jacob Tremblay), a sweet, well-mannered 8-year-old boy who can't be spoken more highly of by his social worker (Annabeth Gish). He has a predilection for butterflies and keeps a book about them, but he also keeps a stash of caffeine under his bed to stay awake. As Jessie and Mark come to discover, Cody can tangibly manifest his dreams when he sleeps. One night, they see Sean reincarnated if only for a few fleeting moments, but Cody’s nightmares also fill his slumber. Co-written by Mike Flanagan and Jeff Howard (who was a co-scribe with the director on “Oculus,” “Ouija: Origin of Evil” and “Gerald’s Game”), “Before I Wake” is an allegory for trauma, grief and guilt beneath the trappings of a couple-raising-a-mysterious-child horror movie. The idea of a parent losing a child is a nightmare, but the script focuses more on the mourning period, how Cody becomes a kind of healing tool for them, and then eventually why Cody's subconscious has made his dreams a reality. That doesn’t mean Flanagan doesn’t get to classily orchestrate tension and startling jolts; he has quite an eye for graceful, moody visual compositions and delivers some ghoulish imagery, one being a literalized boogeyman Cody calls the “Canker Man” who almost resembles an alien but looks more like a child’s nightmarescape drawing of a monster come to life. The Hobsons’ encounter with the colorful butterflies fluttering all around their living room is also a magical bit of beautiful imagery out of a waking fantasy, where the viewer’s awe-inspiring awe matches the couple’s reaction. Kate Bosworth and Thomas Jane are tasked with playing familiar characters who wrestle with bereavement differently, but Bosworth in particular characterizes Jessie with more dimension and ethical complexity as a mother-turned-foster-mother who understandably uses Cody in selfish ways if that means seeing her son again. 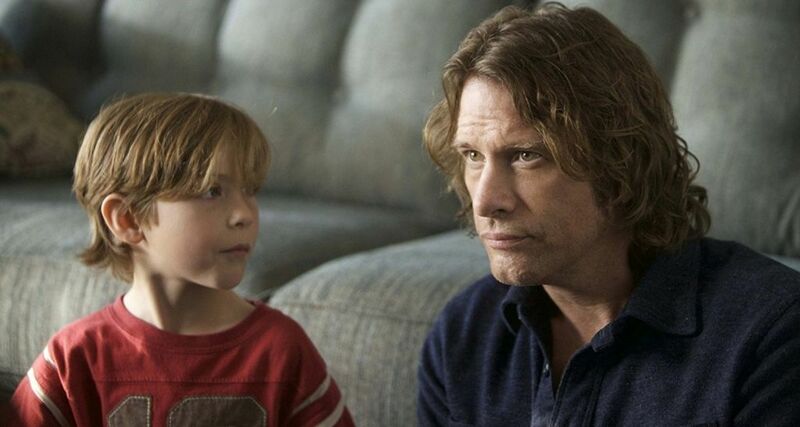 As much of a natural in front of the camera as any acting veteran, Jacob Tremblay (who actually shot this before audiences witnessed his revelatory work in 2015’s “Room”) is wholly believable and expressive as the adorably precocious Cody. Apart from the gravitas stemming from the performances that allow one to buy into the film’s ethereal sensibilities, the film runs into a few snags, like the impact of one crucial incident not seeming to hit a character as hard as it probably should and the ending opting more for clunky “telling” than “showing” (even if it brings a clearer context to everything that preceded it). Otherwise, nothing can undo “Before I Wake” from being an emotionally compelling metaphysical psychodrama that lands its deeper intent, while evading hokiness and heavy-handedness.